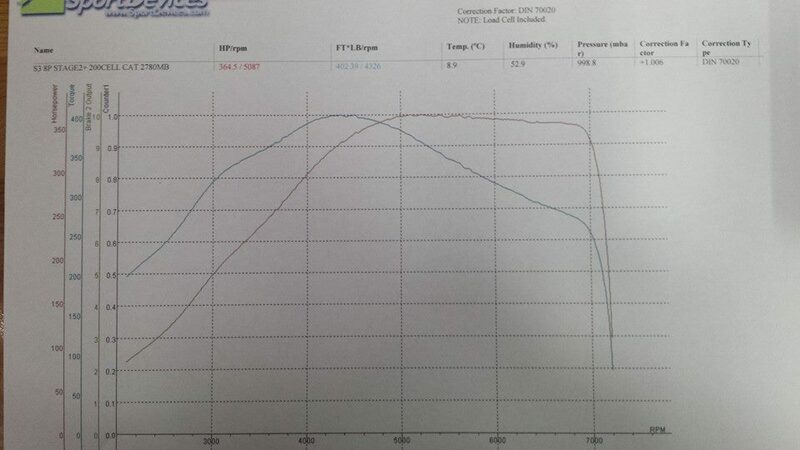 Requirements to get closer get “closer” to 380 bhp 400 lbft at STAGE 2+ custom R-Tech remap session. R-Tech stage 2+ tuning will tend to see around 1.5 – 1.8bar peak boost ranges depending on the exact hardware setup. All maps will be carried out in house on our Bosch Rolling Road dyno a typical stage 2+ session will take around 3 hours. For Bookings please call 02476 34 94 91 or use the contact form from the tab above. 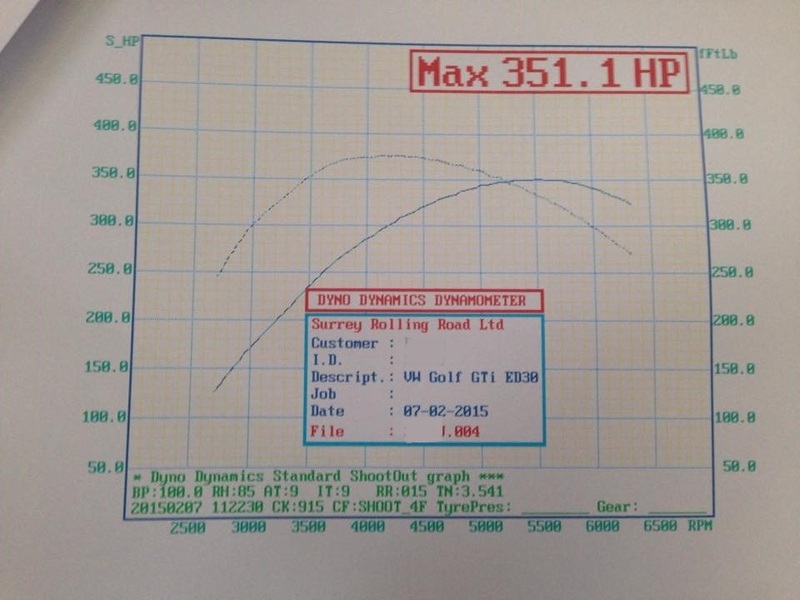 Final Performance numbers are solely down to the car and hardware setup not the mapping, if your hardware and engine setup is good for 380bhp then during a custom remap session we will get 380hp, BUT if the hardware limits the power to 350hp then there is no black magic in customer remapping which can over come hardware flow limitations. A basis of a custom remap is to compliment a hardware setup and extract the best safest power trying to best balance to power and torque. The more research you do into the hardware with the aim of getting the best flowing setup the more power you will make. 2nd graph is from a stage2+ Audi S3 8p more of an aggressive stronger setup due to it being 4wd and able to use all the torque.